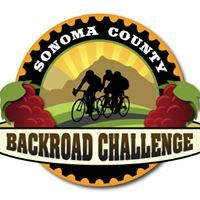 Registration is open for the 2016 Sonoma County Backroad Challenge and just this weekend 23 riders signed up to join us on May 22, 2016 for our 6th annual event. Remeber!!! We’ve changed the date to Sunday May 22nd to accomodate the Amgen Tour d California which is running on Saturday, May 21st. We’ve made many changes to the 2016 Backroad Challenge and we’ll highlight them here every couple of weeks. Today we’ll talk about BIG changes to the full century….ok,ok, its only 97 miles, but that will get you back a few minutes earlier to have an ice cold micro brew……..The route this year will wind up Burnside Road and down to Bodega Highway, but instead of turning east and going through Occidental, the route takes you down Valley Ford-Freestone Road to Valley Ford and onto Estero Road towards the climb at Franklin School Road…..the route will continue south on Hwy 1 to the rest stop at Nick’s Cove and then south all the way to Point Reyes and Olema, where it will turn East and climb the Olema Grade on Sir Francis Drake Blvd….turning left on Platform Bridge Road you’ll soon find yourself climbing the Petaluma-Point Reys Road hill and riding past the historic Marin French Cheese Factory…..just past the cheese factory the route turns left onto Hicks Valley Road where you will soon join the Metric Centruy Route for your final hill climb up the steep side of Wilson Hill Road. The total climb for this 97 mile route is over 6100’……not for the faint of heart, but certainly a doable century for most capable riders. The way home has changed slightly also…instead of turning onto Pepper Road and enduring its “chip seal” finish, and then the rough pitted Liberty Road, the route follows Bodega all the way to Skilman Lane which provides a much better ride home over the last 4 or 5 miles…….Sooooooo….if you haven’t registered yet, get to our website or to www.active.com and sign up today…this will be the best Backroad Challenge ever….we hope to see you there.